The summer solstice – 21 June – is upon us once more. But you don't have to be a Pagan to celebrate it. There are plenty of fun ways to make the most of it without leaving London. Here’s some inspiration for what to do on the longest day of summer and the weekend following it. Sunrise yoga anyone? Whether you actually want to get up at the crack of dawn or rise and shine at your own pace, there are plenty of yoga classes that offer a view to boot, or take place out in the open air (only book in advance if you’re a weather optimist, mind). Fat Buddha Yoga offers energising morning sessions with city views as well as Sunday rehab yoga for those who wake up feeling a little delicate; Roof East is embracing the fresh air with its rooftop yoga; Yogasphere is offering punters the sky high yoga experience with yoga on the 24th floor of the Shard; and Yoga Rise is running an intriguingly named ‘hip hop rooftop yoga brunch’, for those looking for a slightly different stretching experience. While you might not expect it, London is actually home to many a beautiful cycling route. One of which is Battersea Park to Greenwich – a 16km cycle ride largely along the river Thames that will see you ticking off various tourist hotspots (the London Eye, Shakespeare’s Globe and Cutty Sark) along the way. There are also plenty of places to swim outdoors, from all-under-control lidos to wilder bathing ponds. London’s one of the best cities in the world for running, too, if you know which routes dodge the worst of the pollution. Meanwhile, those looking to take in scenic London at a gentler pace could head to pretty Holland Park. As well as being one of London’s lushest green spaces, it's also one of the most secluded ones. Plus, if you commit to walking the whole of this 55-acre park we can guarantee you'll burn off a fair few calories. Celebrating it's 250th birthday this year, the RA’s Summer Exhibition – under the helm of guest curator and committee member Grayson Perry – is bigger and better than ever. Plus, for the first time, the Summer Exhibition spans The New RA and spills onto the streets of London’s West End – look out for the installation of over 200 flags designed by Royal Academicians Rose Wylie, Grayson Perry, Cornelia Parker and Joe Tilson before entering the Royal Academy on Piccadilly. When better to mooch around the RA's London outposts and take it all in than on one of the longest days of summer? If you work nearby, you could even do this on your lunchbreak. Whether you're in the market for a fancy cocktail with an exquisite view, or a frosty glass of bubbly at a secret sky-high haven, London is overflowing with rooftop bars – each offering something a little bit different from the next. Have a read of our round-up of the best ones and find the bar you’d like to spend a long summer evening sipping your tipple of choice at. The open-air courtyard at Battersea Arts Centre has come to life this month with a lively season of comedy, spoken word, music and theatre. On the summer solstice, Irish-Palestinian comedy double-act Shirley and Shirley will be performing their unique brand of pitch-black sketch comedy and stand up under the twinkly glow of the courtyard lights. As part of LIFT festival, 1500 pigeons – each with an LED light – will flock and fly over the River Thames in Duke Riley's epic airborne installation. The event is called Fly By Night and it premiered to awestruck audiences at Brooklyn's Navy Yard in 2016. The illuminated flight of each bird represents the overlooked heroes of WW1, carrying messages from distant camps. Now the installation is re-imagined and will be launched in Thamesmead to coincide with the summer solstice. Between its three London venues – Peckham’s Bussey Building, Stratford’s Roof East and Shoreditch’s Queen of Hoxton – the Rooftop Film Club franchise has a packed programme of cinema this month. Showing everything from the latest blockbusters to indie throwbacks, it’s worth seeing if you can get a seat at your nearest one. On the Solstice itself, Dazed and Confused is showing at the Bussey Building, and Hairspray is on at Roof East. While over the rest of the weekend, the cross-venue line-up of Spice World, Dirty Dancing, Lion King and Back to the Future Part II is sure to douse audiences in delightful nostalgia. On Friday 22 June, fans of the wider animal kingdom can head to London Zoo for a summer solstice(ish) edition of the popular Zoo Nights event. Explore the Zoo after hours, grab a drink from one of the many watering holes, and chill out surrounded by relaxing music, animal lanterns and entertainment. Tickets are limited sold out fast in 2017, so it might be worth booking in advance. On Saturday 23 June, Dalston Roof Park will be hosting a Summer Solstice Roof Party. Promising 14 hours of house, disco and techno music, party-goers are invited to arrive from 3pm and dance till midnight. Street food and cocktail bars will be keeping revellers well-fuelled. If you can make it out of London on this longest of days, join the druids at Stonehenge, where they have been celebrating this sacred day for thousands of years. It's the one day of the year when Stonehenge is still open for the public to get up close – though it closes at 8am. Magicians, soothsayers and ordinary folks camp out overnight to watch the sun rise at the sacred prehistoric site. 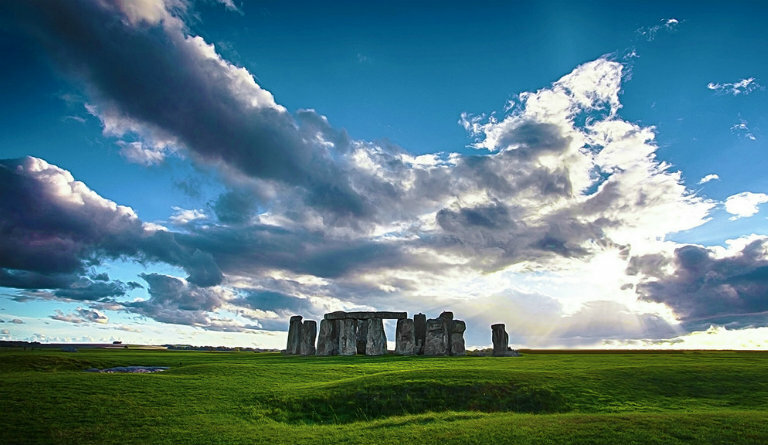 You can even glamp the night away at the Stonehenge Summer Solstice Festival.